I remember it like it was yesterday. 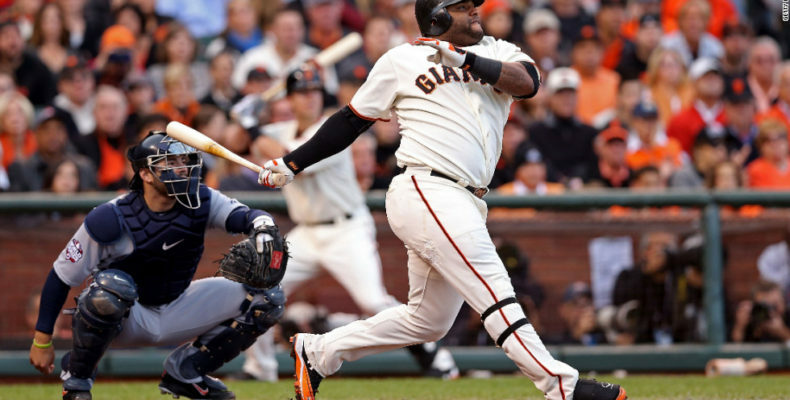 Pablo Sandoval’s first home run in the first inning off Justin Verlander in game 1 of the 2012 World Series was epic. It set the tone for the game and probably for the World Series. The Tigers were heavy favorites, seemingly unbeatable with a 1-2 punch of Verlander and Max Scherzer. This was also the game started by #rallyzito and nobody saw a Giants win in the offing. I will never forget this moment. Wow, that was some serious over-thinking and over-managing last night! Thank Mays for Eduardo Nunez! Neither Kershaw nor Sale lasted past the fourth inning. The Dodger bench was all used up by the sixth inning. That’s just poor baseball. I don’t care what the numbers and the stats say, sometimes the numbers be damned you have to manage for the situation and the moment. At no point is it ok to dog it down the baseline in the World Series or deplete your bench by the sixth inning. With both Kershaw and Sale compromised due to poor health and/or decline, I think the edge goes to the hitters and we are liable to see high-scoring games throughout the series. My take is this: the superior Red Sox defense, particularly in the outfield, will be a difference-maker. Between the constant pitching changes and defensive substitutions and platooning I don’t recognize this game much anymore. I hate the in-game commercials FOX! Jeff Passan has an interesting piece on baseball’s analytics and “self-awareness” problem. Those new 2018 World Series patches are hideous. Couldn’t they at least keep making the embroidered version or did the bean counters think they could save money with the tin foil variety? According to popular online opinion, MLB does not have any mainstream superstars. I say: Bunk!